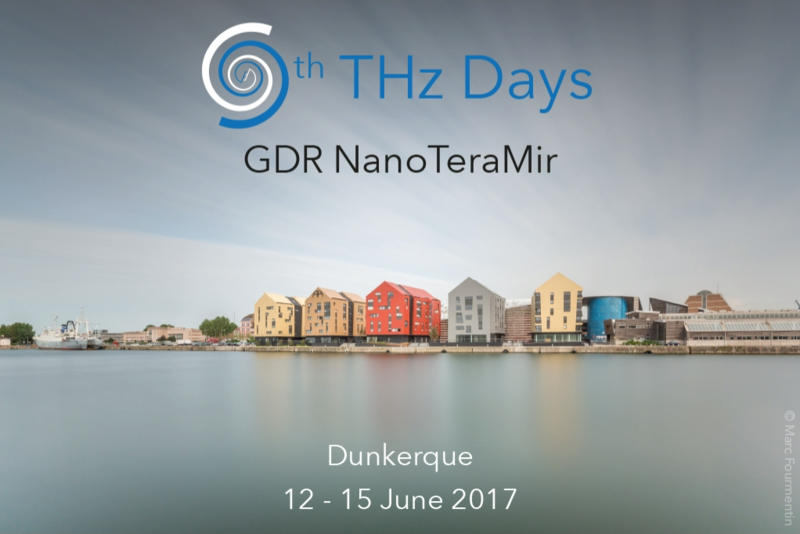 The “9th THz Days” and the annual meeting of the GDR Nano Tera MIR will be held in Dunkerque, easily accessible with TGV connections to France and Europe. This harbour town centrally located between England, Belgium and Germany is an ideal place for students, academics and industrial partners to discuss the latest developments in the field of Terahertz and MIR related Science and Technology. This “9th THz Days” is also the 20th anniversary of this conference, created in 1998 with a first meeting at Paris. Following editions have taken place at Dunkerque (2002), Aussois (2005), Bombannes (2007), Villeneuve d’Ascq (2009), La Grande Motte (2011) Cargèse (2013), and at Arêches-Beaufort (2015). The 9th TeraHertz Days conference is hosted by the Laboratoire de Physico Chimie de l’Atmosphère of the Université du Littoral Côte d’Opale (http://lpca.univ-littoral.fr) with the help of the ARMIR-Téranaute association (http://www.armir.fr/). The meeting will be held at «Les Darses» building having a large amphitheatre and exhibition rooms. The THz topics generated keen interests with more and more exciting applications including high data rate THz communication, pollutant sensing and analysis, non-invasive imaging, and non-destructive inspection to cite a few. The fundamental research activities crucial for the development of new concepts will also be addressed and include topics such as, efficiency of THz emitters and detectors, or new passive components. The ambition of this conference is to bring together the various international (European) players in the THz domain including academics, industrials and publics partners. The participation of students and young scientists is strongly encouraged with special rates. Some key topics dedicated to the Mid and Far Infrared domain will be also encompassed in the program. Topics of the “9th THz Days” joined to the annual meeting of the GDR Nano Tera Mir include (but are not limited to) : Sources, Detectors, and Receiver Spectroscopy of Gases, Liquids, and Solids Devices, Components, and Systems Frequency and Time Domain Instruments MMW and Sub-millimeter Wave Radar and Communications Imaging Mid Infrared Technology Applications in Biology and Medicine Applications in Security and Defense Metrology High-Field THz Wave Generation and Nonlinear THz Physics Far Infrared / IR Components and Systems Applications in Industry.